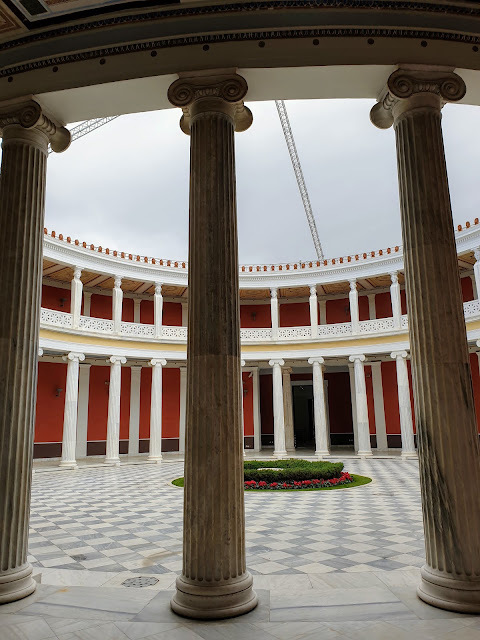 The motivation to travel to Athens was two-fold: (1) the direct flight from Beirut is a mere hour and a half, and (2) my understanding of Greece had heretofore been limited to its coastal resorts. It seemed appropriate to visit the capital of a country considered to be the cradle of Western civilization, where landmarks like the Parthenon at the Acropolis date back to the 5th century B.C. So we booked our flights, homed in on an Airbnb in the heart of the city, and dashed away during the second week of April. Our first impression upon landing was how unusually quiet the airport is. We completed passport control, claimed our baggage, and nabbed a cab at the curb all within 10 minutes after deplaning. When will we ever be able to say the same for Beirut? The drive into the city takes about 45 minutes, with lush green expanses of olive trees and fields on either side of the slick highway. Once you reach the periphery of Athens, however, the scenery changes markedly. In fact, it’s reminiscent of Beirut, with old and new buildings standing side by side, rundown sidewalks that are uneven and unfriendly to strollers, and polished streets that unsuspectingly morph into spotty, narrow alleyways where you can occasionally smell wafts of marijuana. Athens is indeed an affirmation that Greece has weathered rough times, as evidenced by the sheer volume of shuttered businesses, dilapidated infrastructure, ubiquitous graffiti, and trash-strewn streets. Sure, there are nice, swanky touristic areas where the European feel is unmistakable. But this is no Munich or Paris. The city is still in the throes of financial turmoil, albeit a local will tell you things have vastly improved in the past few years. We decided to steer clear of the cookie-cutter hotel experience and instead live like locals. With a young toddler in tow, it actually was far more practical and enjoyable coming home every evening to a comfortable flat where every amenity had been accounted for. Our two-bedroom Airbnb was located in an area called Metaxourgeio, easily accessible by metro and bus, with a taxi queue one block up the street at the roundabout. The cab ride to Syntagma Square, one of the touristic hubs in the city, is a swift five minutes and €5. 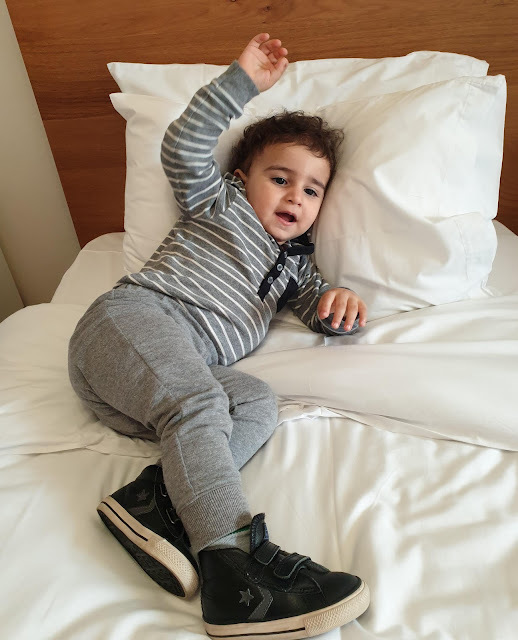 George and his wife served as incredible hosts and thought of absolutely everything, from extra pillows, blankets, and toiletries to a washing machine, blow dryer, hair straightener, coffee machine, smart TVs, baby crib, high chair…the list goes on and on. The immaculate flat exceeded our expectations and was filled with all the amenities we might need away from home. Mornings and evenings, we would exploit the spacious balcony and watch people hustle about their daily lives. Every night, I’d curl up in bed to one of the many touristic publications stacked on the shelves to learn more about the city and plot the next day’s adventures. George even sent us a curated list of family-friendly spots to enhance our outings with little Stephen. I firmly believe our stay in Athens was that much more pleasant because of the beautiful flat we landed. A hotel stay would not have been nearly as amenable or memorable. You can’t simply wing it in Athens and expect to be swept off your feet. It’s rather imperative you do a bit of research if you really want an authentic taste of the culinary delights the city has to offer. Our first stop was a veritable hole in the wall called O Kostas in the Monastiraki district. 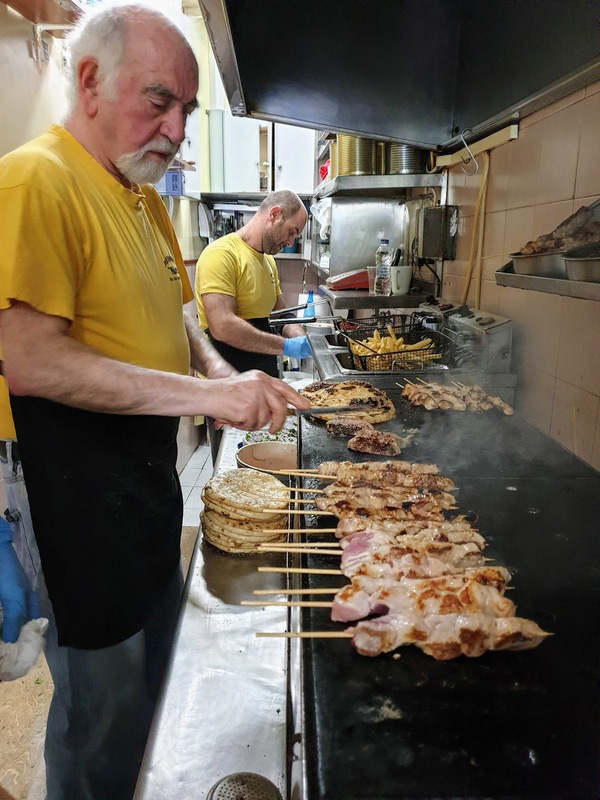 Established in 1946 and heralded to be Athens’ best souvlaki – a courageous claim to make, especially since so many souvlaki contenders exist – O Kostas is frequented by locals who line up for one of his two pita sandwiches. What'll it be: pork or beef? 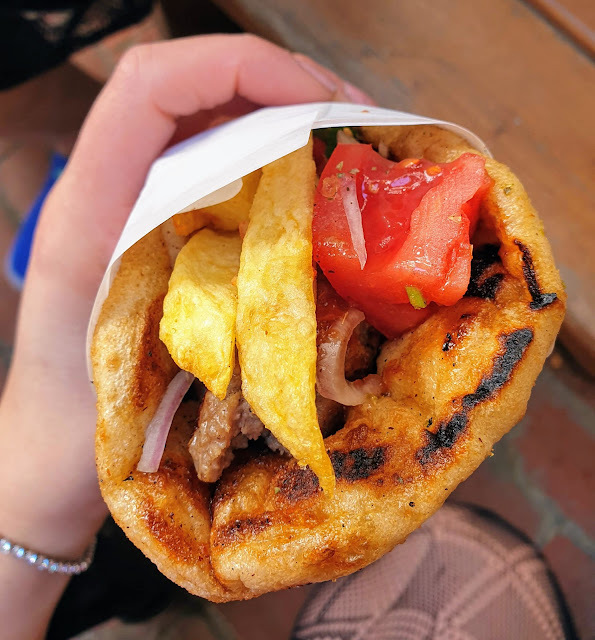 Opt for char-grilled cubes of pork or beef patties garnished with juicy beefsteak tomatoes, shredded onions, parsley and a homemade salsa that effectively replaces the traditional tzatziki often accompanying souvlaki. The sandwich will set you back a couple euros, but you’ll likely require two to sate the paunch, so don't hold back. You may need a few to fill you up! O Kostas closes shop in the early afternoon, when his ingredients run out, and I read that he doesn’t open on weekends. 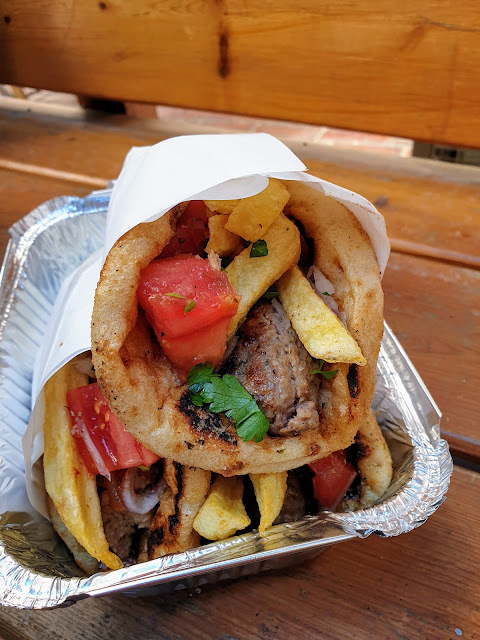 So play your cards right if you want to nosh on Athens’ best. 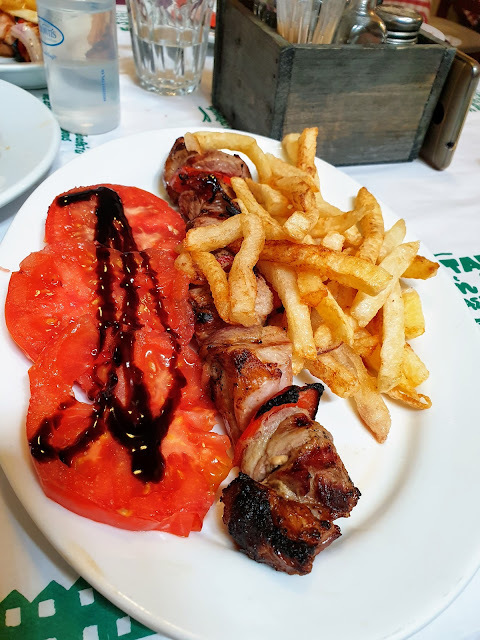 If you have time for a leisurely lunch and find yourself in neighboring Plaka, also a tourist hotspot, your best bet is Taverna Saita. We chose to sit indoors even though the sidewalk seating seemed agreeable – but how else could I size up the kitchen and ambiance if I didn't step on-site? Yorgos, son of the tavern owner and chef, was a very friendly face who immediately made us feel welcome. He helped us transport Stephen’s accouterments down the stairs and into the dining space, giving us ample time to peruse the menu before making our selection. We started with Greek salad, fried cheese, and moussaka as entrees before graduating to platters of souvlaki in beef, lamb and chicken. Plan to pay around €15-20 for a meal here, without alcohol. 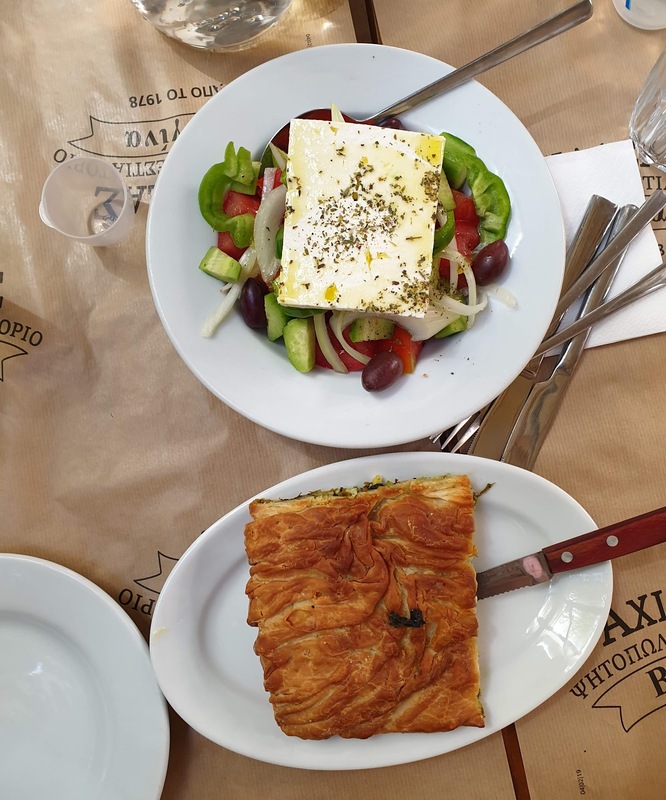 But if you really want to rub elbows with the locals far from the din of the tourist traps, venture out to Exarchia, where you’ll find a cozy eatery called Achilleas – Vergina. 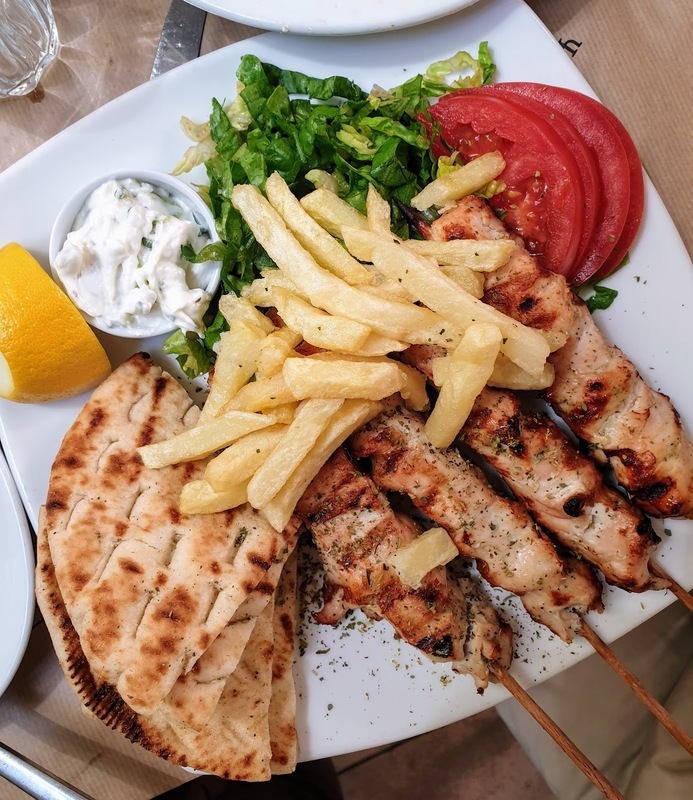 The Greek salad and spanakopita, or spinach pie, are marvelous, though the real winner is the platter of chicken souvlaki, which packs in four hulking skewers of meat, fries, warm pita, tzatziki and salad, all for a trivial €7. 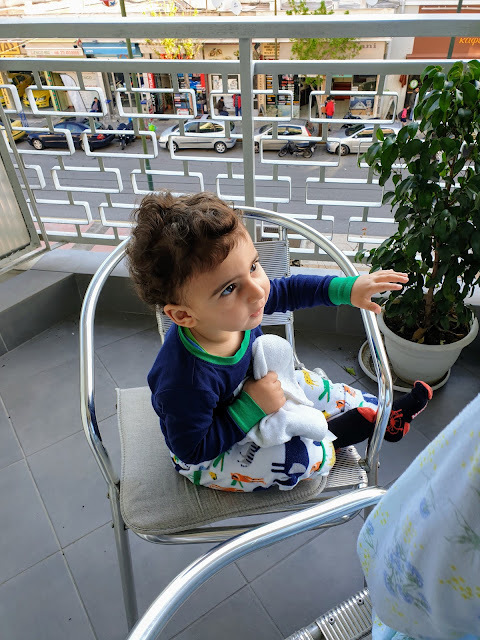 We were even treated to coffee and semolina dessert by our generous waiter, Mina, an Egyptian who made Athens his home 17 years ago and has since been nationalized. 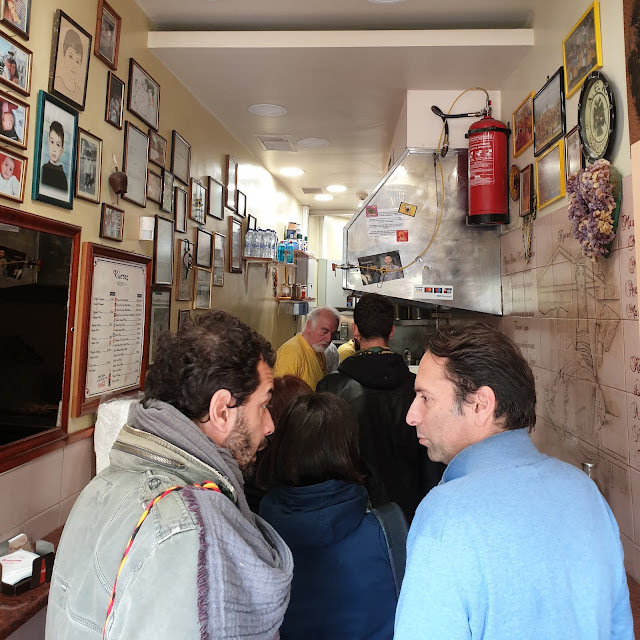 The atmosphere was so friendly at Achilleas, we ended up camping out for a couple hours, recharging our energy levels after the long, bumpy walk from Syntagma. In my readings, I’d come across a donut shop called Lukumades, named Best Pastry Outlet by TripAdvisor in 2018 and renowned for its freshly prepared donut holes, akin to the Lebanese “3awamat.” There’s quite a range of toppings and fillings you can choose from, but respect tradition and go for a drizzle of honey with a dash of cinnamon (10 donut holes go for €3-5). The gelato is equally fantastic: try chocolate sorbet with banana toffee flavors. Wash it down with a cup of coffee. 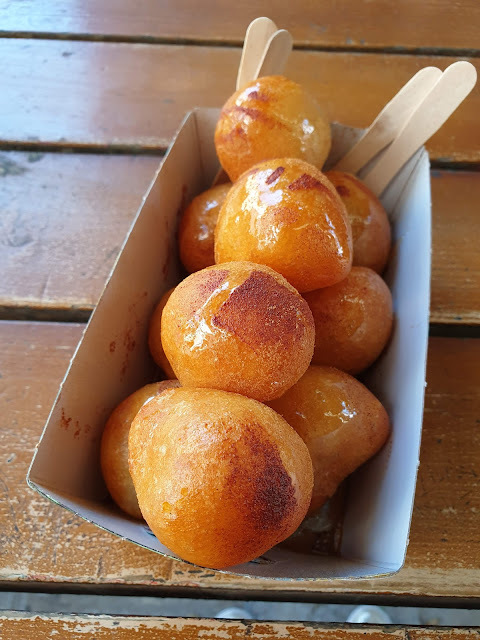 We were quite fortunate to be a two-minute walk from a 24/7-outlet called Bread Factory, which straddles bakery, patisserie, and homemade cuisine. At the end of a long day, we’d pop in and ogle the pastries, taking a selection back to the flat for an evening snack. The millefeuilles, whether original or caramel, are outstanding – fresh, crispy, and ethereally creamy. There’s another Greek novelty worth its weight in calories that layers syrup-rich sponge cake, custard, and whipped cream. 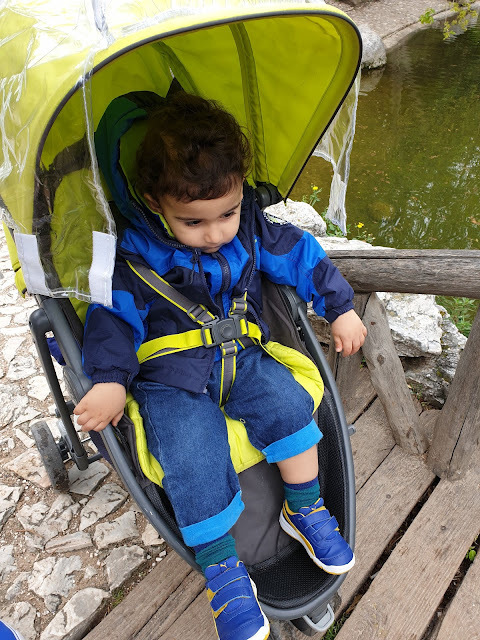 While there are surely many landmarks and museums to entertain a tourist in Athens, we were constrained in our flexibility and time because of the youngest member in our traveling party. Nonetheless we invested many hours at the National Garden, a green oasis smack dab in the center of the city. 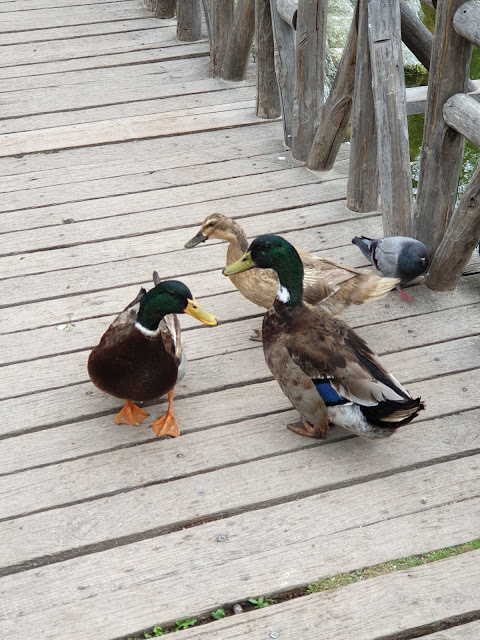 It boasts a rich diversity of flora and fauna – geese, ducks, tortoises, goats, peacocks, parrots, and numerous other species of birds. 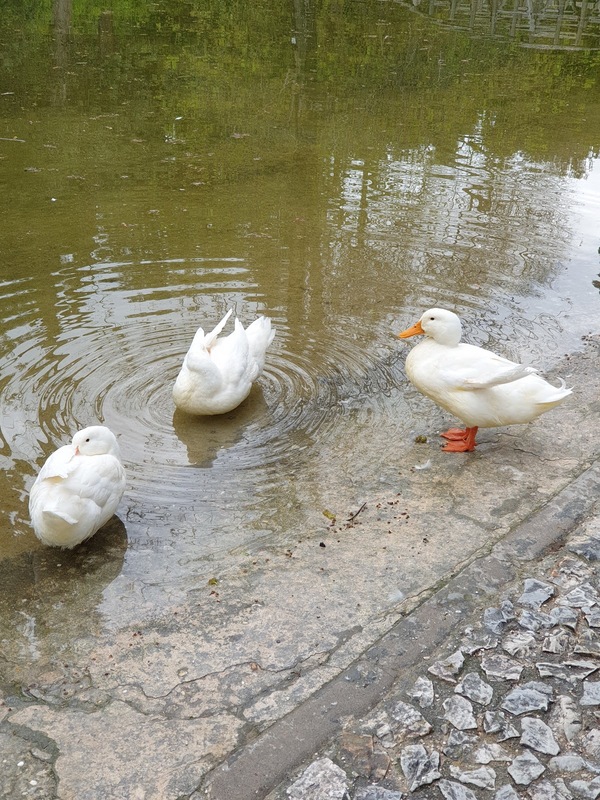 Young grade-school students are brought here on field trips to observe the animals and interact with nature. 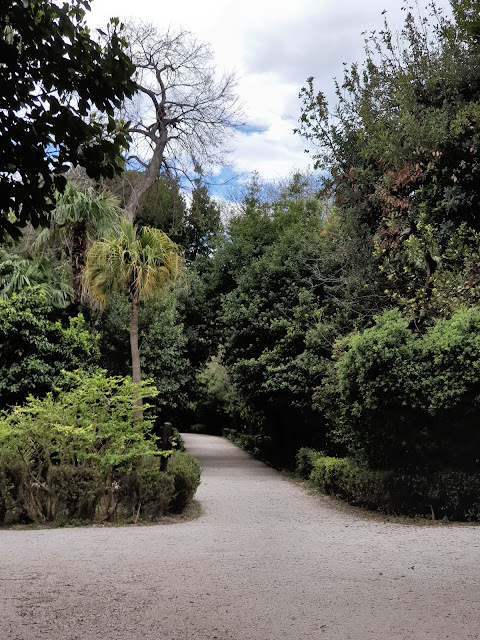 We made a point to visit the National Garden twice, and each time we explored different reaches of it – that’s how expansive it is! ...particularly with these geese that hobbled right past him fearlessly! If you walk sufficiently due south, you’ll stumble upon the Zappeion, site of the 1896 Olympic Games. The Garden also encloses some ancient ruins, tambourines and Corinthian capitals of columns, mosaics, and other features. Zappeion houses the site of the first Olympic Games! When you visit Athens, be prepared to scale the city. It is hilly, uneven, and subject to treacherous winds in the winter and spring months, so layer your clothing and embrace the fact that you're about to tone those thighs! There’s no doubt most tourists are magnetically pulled to Greece for its seas, resorts, natural reserves, and ancient monuments. I certainly had been, both with Costa Navarino in the Peloponnese, and Halkidiki in Thessaloniki. Athens probably doesn’t figure high on the bucket list, especially when you stack it against Santorini, Mykonos and the thousands of other islands conducive to R&R. But a trip to the capital is not one in vain. It’s nice to experience a real, gritty city where people are warm, welcoming and fiercely proud of their roots. The recent financial crisis has surely put more than a dent in their livelihoods, but their happiness remains unfazed. 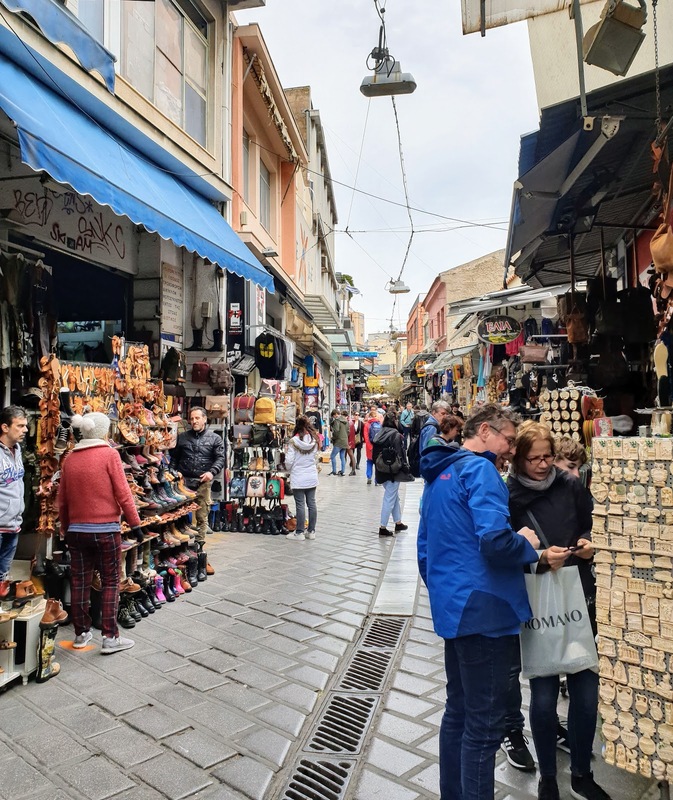 We can learn a lot from the Athenians, who – after extensive reflection now that I’m back in Beirut – seem to share quite a bit in common with the Lebanese. Perhaps it is they, and not the Italians as oft declared, who are our closest European counterparts!